Have you ever had the experience when someone recalls something you’ve said quite clearly, while you’ve totally forgotten it? I was amused at a recent showing of a new condo when my client was disappointed to find that all three bathrooms featured round toilet bowls, rather than those that are elongated in shape. “They should have taken your advice about keeping the male anatomy in mind when making their selection,” she said. Ah yes, I had forgotten that I made that observation in print some time ago. Specifically, I had commented that, for guys, upgrading to an elongated toilet bowl can be the equivalent of switching from jockey shorts to boxers. Actually, I’ve written several articles that had some mention about toilets. I don’t think I have some fixation based on early toilet training, but let’s face it, the function of the toilet is probably the single most important development associated with the convenience of modern living. I was reminded of this particularly when I bought an 18th century home that still had the remnants of an original outhouse some 50 feet from the backdoor. I can only imagine what it would have been like to make use of it years ago on a cold winter night. There was another observation I made when writing about a condo development originally planned for seniors where the toilet specs called for a model that was lower to the floor than the average, a mere 14 inches, which can make a world of difference for aging, creaking knees. I commented that it might have been a better choice to feature one where the seat was higher, perhaps as high as 18”, only to receive an email informing me that a lower position was better for elimination (and the reason for the Squatty Potty finding an investor on Shark Tank). My interest in the most essential of household fixtures inspired more research. 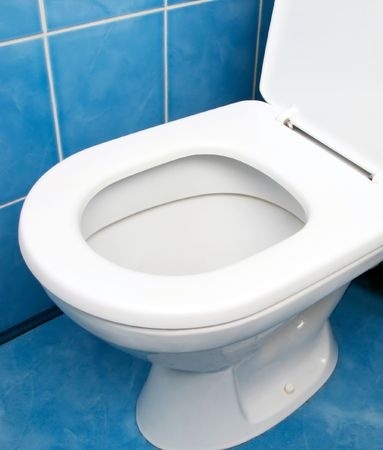 For years, I believed that the toilet was invented in the late 1800s by an Englishman named Thomas Crapper. Many have assumed that his name was adopted to crudely describe both the toilet and the function itself. Seriously. But those old English words preceded Crapper’s flush toilet by some centuries and the connection with his name is purely coincidental, unfortunate though that might be. Actually, Crapper was a Johnny-come-lately, to coin a phrase, to the championing of the flush toilet. Three hundred years before, another Englishman, Sir John Harington, wrote a treatise of the toilet’s design and peddled its first installation to his godmother who happened to be Queen Elizabeth I. The flushing mechanism consisted of pulling a knob to empty a water cistern which sat above the toilet bowl. A valve then released the water and waste from the stool pot into a collection vault beneath the floor, which had to be emptied routinely. The mechanism is still basically the same, advanced by a number of improvements through the years. Very honestly, I had rarely thought about how a toilet works, leaving any problems with its operation to my plumber. It’s like my car. I just fill it up with gas and it runs. But it’s actually quite a sophisticated piece of equipment, considering its invention in the 16th century. Today, a toilet is composed of two main pieces – the tank and the bowl, with the working parts in the tank. When the lever is pushed, it pulls on a chain which in turn pulls up a flush valve at the bottom of the tank, allowing water to rush into the toilet bowl. Immediately after flush begins, the water level in the tank goes down, as well as a float ball. A rod attached to the float allows the fill valve to be opened and water from the house water pipe begins to flow into the tank. So, water is coming in and going out at the same time. When the tank is almost empty a flapper falls onto the discharge hole and seals it again. And water starts refilling the tank. That sitting water in the tank actually serves as insulation from smells and fumes from the pipes for removal. The toilet’s significant contribution to the environment was further enhanced in 1992 when Congress passed legislation requiring new toilets to drain just 1.6 galls per flush instead of the then 3.5 gallons, conserving water resources. And, here’s a closing takeaway concerning the toilet seat and its lid. While we would all agree that it’s the gentlemanly thing for guys to return the toilet seat to the down position out of courtesy to the women of the household, most times the practice requires reminders. However, we should all engage in the practice of also lowering the lid before we flush in that it prohibits the spray of bacteria into the air and onto surfaces around the toilet. But these practices will probably continue to require reminders until such time that every toilet comes with automatically closing seats and lids.